These traditional Halloween Night games used fruits and vegetables to tell you who you will marry and when you will die… and sometimes even set you on fire! All Hallows’ Eve is a time when the veil between the world of the living and dead is thinner than usual, and many now-forgotten rituals banked on that closeness to predict the future. In America today, the foods most often associated with Halloween are pumpkins and candy. But for centuries in the British Isles, this eerie night was linked with apples, nuts, and cabbage, all of which were believed to have secret powers. But the games played with these foods had much more dramatic stakes than the ones we play today. 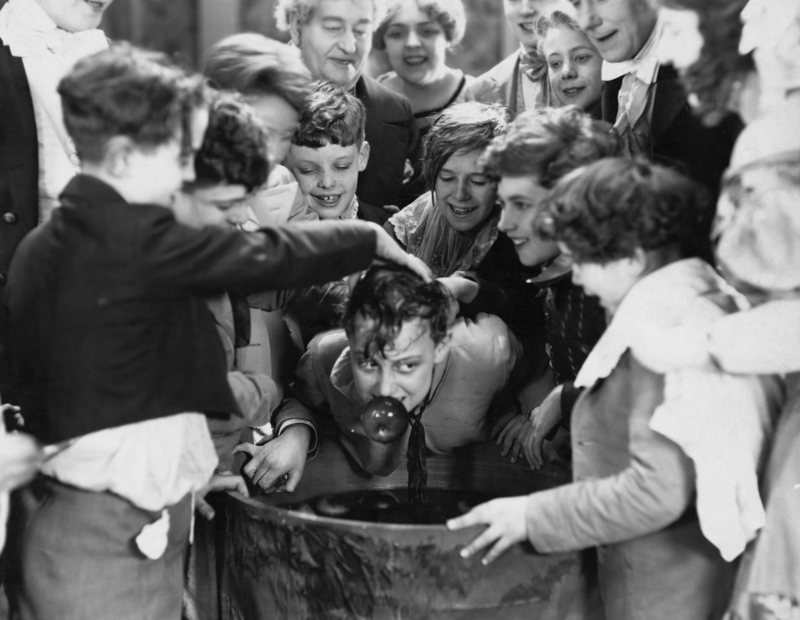 For example, there was a game called “Snap-Apple” The object, like in bobbing for apples, was to get the apple in your mouth, but with a major difference – the apple is tied to one end of a spinning stick, and on the other end was a lit candle. So if you were too slow, too aggressive, or too timid, you’d end up with a burning candle in the face. Sounds like fun, right? It’s just one of many mostly (and perhaps better) forgotten All Hallows’ Eve traditions from the British Isles.